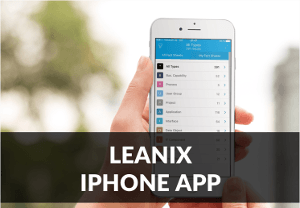 In this Webinar we introduce the recently launched LeanIX iPhone App which allows you to access all your Architecture Inventory Fact Sheets such as Business Capabilities, Processes, User Groups, Projects and Applications right from the native iPhone App online, everywhere. Get to know all the features and functionalities of the App that allows you to carry your company's whole IT architecture in your pocket, being connected to all your colleagues and always kept informed regarding all the changes they make! Submit the form at the right and instantly get the access to the webinar!